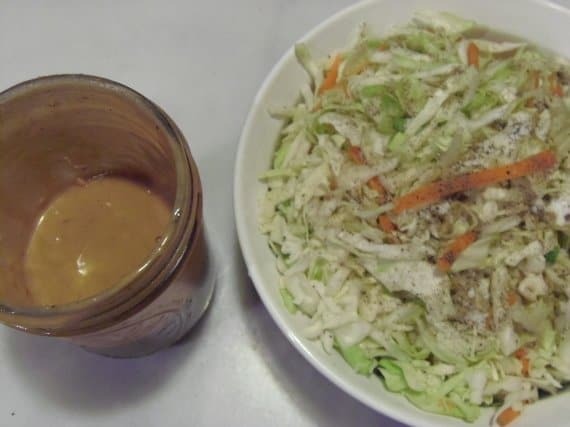 Here’s a tasty alternative to all those high calorie and overly sweet mayonnaise based coleslaw recipes. This side dish is a perfect accompaniment to any meal but it was especially tasty with last night’s salmon. It takes about 10 seconds to whip together (OK, maybe I exaggerate a little here) and 1 cup of the dressing has only 70 calories. 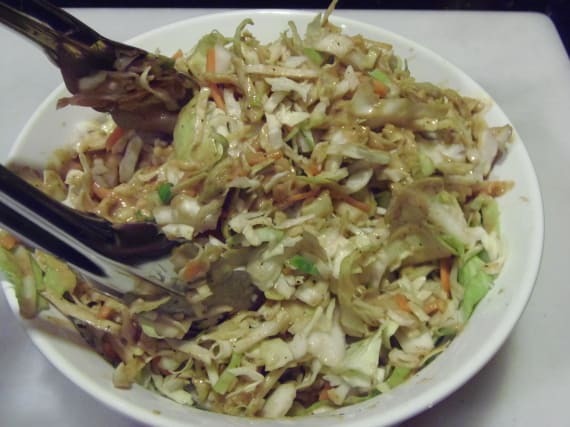 Add it to a store bought coleslaw mix and you’re completely good to go and healthy too! 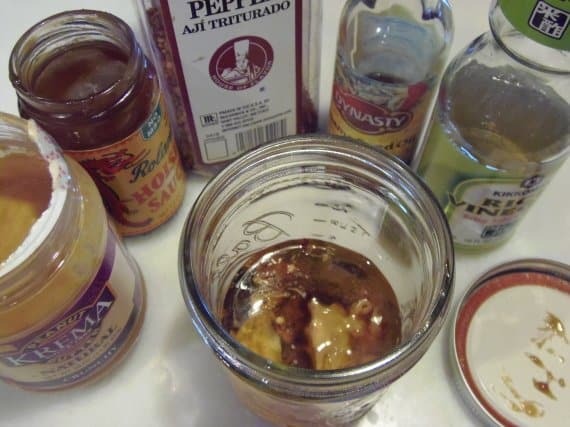 -In a mason jar (or other vessel with a tight fitting lid), add the first 7 ingredients and with the lid on tight, shake well to blend all the ingredients. 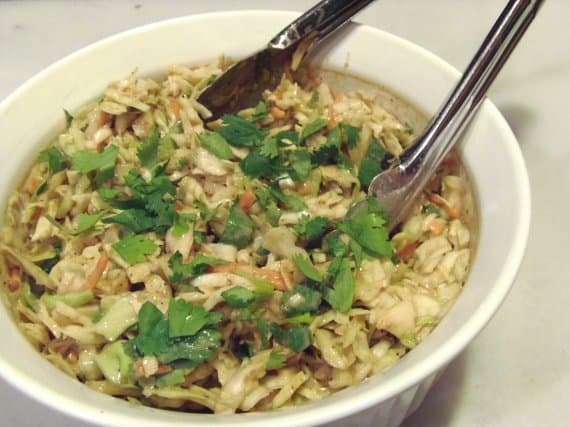 -Add the slaw to a large bowl, season with salt and pepper. 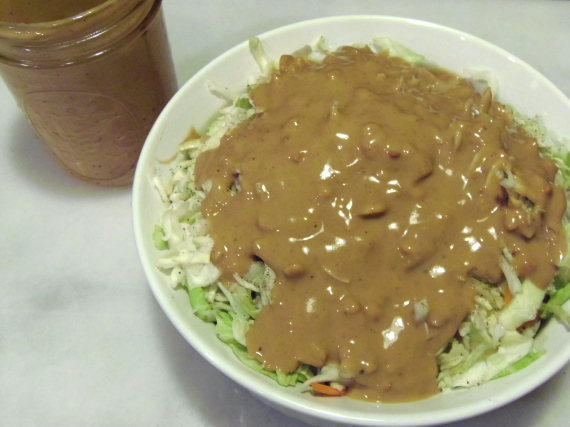 -Pour the dressing over the coleslaw and mix well to coat all the slaw with the dressing (I think tongs work best for this). -Top with the chopped cilantro and serve alongside your favorite protein. Come back hungry, won’t you? Peanut sauces are great and I'm so grateful that I'm not allergic. Your plan for lunch sounds delicious too.